You may be like me and have been busy getting your garden ready to plant for the growing season. It’s kind of amazing how much work needs to be done ahead of time. Depending on how you are getting started determines a lot on how much work and the time you need to be ready for growing and then harvesting. Now you know I’m not going to be talking about gardening only but I’m hoping to relate this whole process to our spiritual growth as believers in Jesus Christ. I haven’t been a gardener all my life, in fact it’s only been about ten years since I’ve gotten really involved in it. 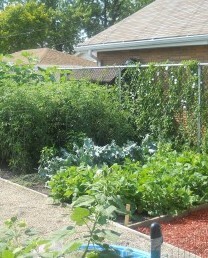 The decision to start a garden came out of a desire to have some fresh produce and to save some money. Maybe the challenge of growing a garden and having less lawn to cut played a part in it too but I don’t think I got very philosophical about it, my parents gardened for as long as I can remember and I figured I would give it a try too. When I got started I was surprised by all the work that needed to be done to get to the point where I was happy with my garden! First I had to decide where I wanted the garden and how large it would be. It took a lot longer to get the ground ready, I had to use the roto-tiller to break up the ground. Oh, I thought that was going to be no problem. NOT, it was hard work. The turf was thick grass and deep roots. The previous owners had put in a special grass that produces thick root systems to keep out weeds. Good for a nice lawn, bad for making a garden. I haven’t been a Christian all my life. I came to know Jesus as LORD when I was in my twenties. At first I thought it would be easy. I had gone to church with my parents, I had been to services, bible classes, I even took communion on Sundays, and I thought I knew how to do this. Surprise, surprise the struggle was on from the moment I said yes to Jesus. My friends thought I was nuts. My parents thought I had rejected them and their parenting skills, my siblings thought I was just on a new fad. The friends made it hard, I had to break up some old ground with them. I had to change some of the things I use to do that I learned would hinder my growth as a believer in Jesus Christ. Life as you know has a lot of “roots” in it. Like the roots in the turf of my garden I had to break it up and remove the clumps of turf. I couldn’t leave those clumps there, they would have re-rooted and started growing again. I found that some of the things I did, things I read, music I listened to, people I associated with, all had to be evaluated, then removed as needed, to make sure I could succeed in this new way of life. This was HARD work, I didn’t want to do it but I knew that it had to be done. Like a garden if you know you have sin, rebellion, and unbelief in your life, it can re-root and choke out your faith. Jesus shared this principle in the parable of the Sower in the Gospel of Matthew 13: 22-23. So you can see seed grown among thorns which can be a lot of things in our life do have a choking effect on our spiritual life and growth. But seed grown in good soil which means we are taking steps to be a good garden of the mind, body, and spirit, has an excellent place to grow and to produce a great harvest. Gardening doesn’t just start with breaking up the ground. Next you have to check the soil condition and adjust it as needed, then plant your seeds and plants at the right time, then water,weed, and feed them until harvest time. Spiritual growth is very similar. It was exciting to start my garden but it didn’t end there. I prepared the soil with some peat moss and fertilizer. It was exciting to be a young believer, I met new friends, heard great teaching, went to awesome conferences, went on retreats. I would read my bible, study it daily, pray and worship. I couldn’t get enough of God’s Word. I was growing in amazing ways of understanding God’s Word, my faith in him, and learning to love others. It was exciting to grow. Not all growing seasons are the same but growth is the key word here. We have to cultivate a spiritual growth in Jesus Christ based on His principals not ours or the world’s. It’s not by doing good works, it’s by grace in Jesus and his sacrifice on the cross. His forgiveness of our sins, not our abilities to try and make things right. There is all kinds of soil out there that His seed falls on but only that “good” soil lets that seed grow in such a way as to produce an abundant harvest. Cultivate a garden in your body, mind, and spirit that is ready for God’s seed. Faith in Jesus Christ is not a temporary thing it’s for a life time, your season of life. I have always loved the story of Charles Blondin, the acrobat who performed on a tight rope. He would walk across the tightrope with seemingly no fear. He once carried a small stove and made an omelet for himself while on the tight rope. There was a performance one night and the royal family was in attendance. It was in September of 1860. Charles took a wheelbarrow and went back and forth across the tightrope. He stopped and asked the Prince of Wales if he believed that he could carry a man safely across the tightrope in the wheelbarrow. The Prince of Wales said “yes” he did believe that it could be done. Charles then asked the Prince of Wales to get in the wheelbarrow. The Prince declined his invitation and also requested that Mr. Blondin never ask again. This story is amusing. I laugh every time I hear it because it is one thing to say that you believe in someone and it is another to trust that person with your life. The Prince of Wales had enough common sense and God given wisdom not to trust this dare devil with his life. He made the right decision. The Bible tells us that God is not a man that he should lie. We are human and we all fall short and even on our best day we miss the mark. We slip and fall. I am thankful that God is there to catch me every time. Many people have trouble trusting others. I get that. I understand that. We have all been disappointed when we find that someone we thought we could trust has let us down, but we must all remember that we too have not always been found to be trust worthy. I am thankful that God is not a man and he does not lie and he can be trusted completely. I always tell my young adults the story of how I told the girl at Popeyes not to put the biscuit in my bag. She asked me “why” and I said “because I can’t be trusted with the biscuit” and she laughed hysterically. It’s sad that I can’t trust others but even more sobering to know that sometimes I can’t even trust myself. That is why I am so thankful that there is someone I can trust completely. 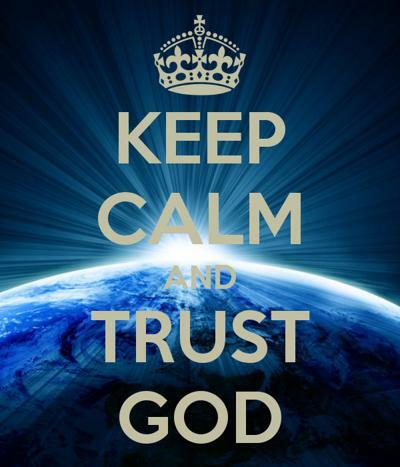 I can trust God. I can trust him with my life. I do trust him with my life. I trust that he will carry me and will not let me fall. He has my best interest at heart. I believe that many people have trust issues because they have been wounded or betrayed. They have trusted someone with their secrets or their money or their heart and have been disappointed. I want you to know that you can trust God with your secrets, your money, your heart and your very life. He is faithful. He proved his love when He gave His own son to die and become the sacrifice for our sin. I trust God with my life because He gave His own life. The one thing that angers me about the devil is that he is such a liar. He is called “the father of lies” (John 8:44) and everything he says is a lie. The devil is a liar and there is no truth found in him. The thing that I hate even worse than being lied to is being lied to by someone who knows the truth. This is exactly what the devil does. He absolutely knows the truth but he doesn’t want you and I to know or believe the truth. He knows there is a God. He knows there is a Heaven and a hell. He knows that God is all powerful and that he is the healer. He certainly doesn’t have a revelation of truth, however, he does have “information” and is aware of the truth. It causes me great embarrassment to think of the many times I believed his terrible lies. I once believed that God didn’t love me. I once believed that God could not heal me or help me. The devil lied to me and yet he himself is a believer. He knows what he is telling me is a lie. He lies maliciously and with intent to deceive and harm people. 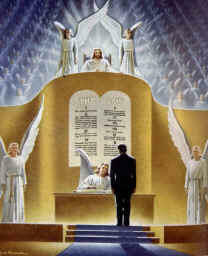 I am so thankful that through study of God’s Word I received a revelation of his love for me and I now KNOW the truth. If the devil did not believe that it is God’s will to save, heal, deliver and bless he would not go to such great lengths to try to deceive us. It is because he does know about God’s great love for us. If he did not believe in the power of prayer he would not try to keep you from praying. He knows that prayer works. The question is not whether or not the devil is a believer, the question is whether or not you and I truly believe God’s Word is true. Do we believe that God loves us? Do we believe that He has our best interest at heart? Do we believe that there is a Heaven to gain and a hell to avoid? I told my brother not long ago that I do not believe that many who claim the name of Christ truly believe there really is a Heaven and a hell. The reason I believe this is because IF we really believed that Heaven and hell were real wouldn’t we live differently? I believe we would do everything we could to make sure everyone we knew heard the gospel message. We would be careful to keep the commands of God with joy. The story below is something I read long ago. I’m pretty certain it isn’t a true story, however, you will surely find it amusing. 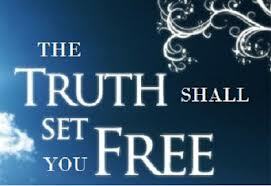 We must choose to believe God’s Word is all truth and He is love and reject the lies of the enemy. In a small Texas town, a local bar began construction on a new building to increase their business. The local Baptist church started a campaign to block the bar from opening and called special nightly intercessory prayer meetings. Shortly before the bar opened it was struck by lightning and burned to the ground. The church folks were rather smug in their outlook after that, until the bar owner sued the church on the grounds that the church was ultimately responsible for the demise of his building, either through direct or indirect actions or means (praying against them). The church vehemently denied all responsibility or any connection to the building’s demise in its reply to the court. I knew I wanted to read the book he published for two reasons. The first is that as his sister in law I know his character and integrity. I’ll be honest here. I only want to read the works of those I know live with integrity in public and also in private. The second reason I knew I just had to read this book is that I know Bill is a man of prayer. When he says he will pray for you it isn’t just code for “maybe I will pray.” He will pray. I was not disappointed. I was blessed and I was encouraged. That is why I want to share my heart with you. I am not sure if Bill meant to save the best for last but I will tell you that in the case of “Igniting the Power of Prayer” he did exactly that. The title of the final chapter is “The Call of The Watchman” To be honest, I got to the title page and began to weep. I could say much but I’m going to share what my brother in law wrote. Every young boy dreams of being a knight in shining armor protecting his castle – fighting off a vicious enemy’s onslaught coming to hurt or harm. Movies through the years have helped portray the stoic watchman walking the wall and protecting their kingdom. Their keen, alert eyes are of utmost importance to those who live behind the walls trusting the watchman’s protection. A soldier must be loyal, alert and ready to lay down his life defending those who live in their community. In the movie A Few Good Men, Demi Moore played a military attorney who defends two marine accused of killing a fellow soldier. After being asked, “Why do you love them so much?” she answer, “Because they stand on a wall and they say, “nothing is going to happen to you. Not tonight; not on my watch. “That is how we should view the call to intercession (prayer). We stand on the wall and keep watch for the enemy’s attack, saying, “Nothing is going to happen to our families or the church on my watch.” We MUST stand on the wall of intercession for our generation. As I read this I kept thinking about what would happen if there were not just a few good men but “A Few Godly Men” who were willing to serve and protect. I remember the disciples could not remain awake. We are often guilty of the same. Thankfully, Jesus is continually interceding for us, however, we have a responsibility to also intercede for others. We must remain alert. It seems strange but God has put it on my heart to “intercede for the intercessors” and to pray that God will raise up once again “A Few Godly Praying Men” who will storm the Heavens and change the course of history. 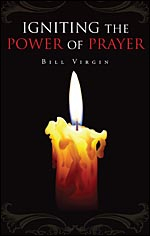 If you haven’t read “Igniting The Power of Prayer” by Bill Virgin you need to get this book as it will encourage you as you see lives changed through the power of prayer. Bill Virgin has been in the ministry for over 30 years. Bill attended Boise State University and Christ For the Nations Institute where he graduated. Bill went on to receive his Masters and Doctorate of Theology degree from Jacksonville Theological Seminary. Bill has served as youth pastor in Chicago and with Church on the Rock in Dallas, Texas. 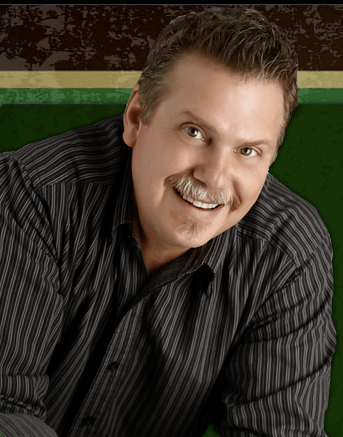 Bill now is Senior Pastor at Life Christian Center in Kansas City, Missouri. Our emotions are “from” God and “of” God and are gifts to be used to bring honor “to” God. God has given us emotions because we are created in the image and likeness of God and God himself has emotions. Our emotions are to be used carefully and purposefully to bless God and others. I am humbled and comforted to know that God has emotions and understands not only my life situations but the pain I feel when I am wounded. A favorite Scripture that reminds me of the tenderness of God is John 11:35 that reads simply, “Jesus Wept”. Our emotions are powerful and can be used for good or evil like any other gift we are given. Emotions can be a powerful witness of God’s love and character. They can be a confirmation of his great love for us and humanity when we use our emotions to express our love and concern for others who are hurting and broken. They can also be used incorrectly and be dangerous and cause great harm. Our emotions are like electricity. When used wisely and handled with care electricity is a great and powerful gift that blesses many people. If not handled properly electricity can hurt us and cause great harm to others. A perfect example of how one emotion can be used for either good or evil is the emotion of anger. It is a terrible witness to those around us and especially to those who are unbelievers when we misuse the emotion of anger. The Word of God doesn’t say that anger is wrong. The Bible says, “be angry, but sin not”. The anger is not wrong. It is o.k. to be angry for the right reason and at the right time and in the right situation, however, the person who commits sin out of anger is wrong. However, if that same individual became angry at an injustice committed against an innocent person it would be a “righteous” or right anger and would actually honor God as long as that person did not commit sin. I often hear people talk about how we must learn to control our emotions. I want to ask them how they are doing with that. This is easier said than done. In fact, I can tell you that I tried for years to control my emotions with little success. It seemed that my emotions were controlling me most of the time. I never was really able to control my own emotions. One day I prayed and asked God to help me control my emotions. God showed me that I was not capable of controlling my own emotions. I needed God’s help. He showed me through his Word that I should not concern myself with controlling my emotions but I should instead simply “surrender” my emotions to him and he would teach me how to use my emotions for his honor and glory. He showed me that he would also heal my emotions as I surrendered my emotions to him. I prayed and I felt such a peace flood over me. I surrendered my emotions to God and asked the Holy Spirit to lead me and help me to use my emotions properly and with care. I asked God to help me use my emotions as a witness of his love to others. Our bodies are the temple of the Holy Spirit and we are not our own. We are bought with a great and precious price. Our bodies are to be used to honor God. Our emotions are to be used in the same way. The Lord showed me that so often people misuse or abuse the emotions God gave them. They will use tear to manipulate others to do their will instead of God’s will. They will rejoice at an injustice instead of righteousness. This is the reason that many people are suffering with emotional illness. Jesus died on the Cross and suffered stripes that we might be healed and made completely whole…body, soul and spirit. I pray that I may weep at the things that break his heart. I pray that I would rejoice at the things that bring him joy. I want my emotions to bring honor to Christ. I believe that as we choose to surrender our emotions to God we will be healed in places we didn’t even know we needed to be healed. I thank God for freedom and peace of mind and heart. Lord, I thank you for the Cross and the price you paid and the blood you shed that I might be made whole. I surrender myself wholly to you. I surrender my body, soul and spirit to you. I surrender my emotions to you. I acknowledge that in and of myself I am not strong enough to control my own emotions. I need your love and power. In every situation of life let me feel what you feel and respond as you would respond. May my emotions always honor you and represent you and your love. Help me to never misuse or abuse my emotions or dishonor you. While traveling at the Knoxville airport I was sitting waiting to board a plane: I had the Bible on my lap and was very intent upon what I was doing. I’d had a marvelous morning with the Lord. I say that because I want to tell you it is a scary thing to have the Spirit of God really working in you. You could end up doing some things you never would have done otherwise. Life in the Spirit can be dangerous for a thousand reasons not the least of which is your ego. I looked down at my Bible as fast as I could, discomfort burning my face. As I tried to imagine what his story might have been, I found myself wondering if I’d just had a Howard Hughes sighting. Then, I remembered reading somewhere that he was dead. So this man in the airport…an impersonator maybe? Was a camera on us somewhere? There I sat trying to concentrate on the Word to keep from being concerned about a thin slice of humanity served on a wheelchair only a few seats from me. All the while my heart was growing more and more overwhelmed with a feeling for him. Let’s admit it. Curiosity is a heap more comfortable than true concern, and suddenly I was awash with aching emotion for this bizarre-looking old man. God was so insistent that I almost involuntarily began to walk toward him as these thoughts came to me from God’s word: “I will thoroughly finish you unto all good works.” (2 Tim 3:7) I stumbled over to the wheelchair thinking I could use one myself. Even as I retell this story my pulse quickens and I feel those same butterflies. At this point, I took a deep breath and blurted out, “SIR, MAY I HAVE THE PLEASURE OF BRUSHING YOUR HAIR?” At which point every eye in the place darted right at me. I was the only thing in the room looking more peculiar than old Mr. Longlocks. Face crimson and forehead breaking out in a sweat. “I have one in my bag,” he responded. I went around to the back of that wheelchair, and I got on my hands and knees and unzipped the stranger’s old carry-on hardly believing what I was doing. I stood up and started brushing the old man’s hair. It was perfectly clean, but it was tangled and matted. I don’t do many things well, but I must admit I’ve had notable experience untangling knotted hair mothering two little girls. Like I’d done with either Amanda or Melissa in such a condition, I began brushing at the very bottom of the strands, remembering to take my time not to pull. 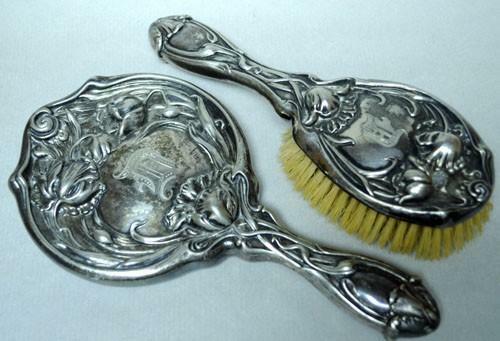 A miraculous thing happened to me as I started brushing that old man’s hair…. Everybody else in the room disappeared. There was no one alive for those moments except that old man and me. I brushed and brushed and I brushed until every tangle was out of that hair. I know this sounds so strange but I’ve never felt that kind of love for another soul in my entire life. I believe with all my heart, I—for that few minutes—felt a portion of the very love of God. That He had overtaken my heart for a little while like someone renting a room and making Himself at home for a short while. The emotions were so strong and so pure that I knew they had to be God’s. He said, “Yes, I do.” Well, that figures. 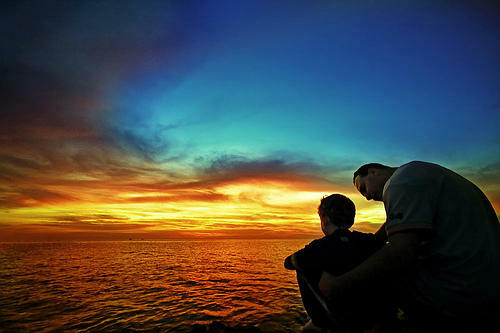 Only God knows how often He allows us to be part of a divine moment when we’re completely unaware of the significance. This, on the other hand, was one of those rare encounters when I knew God had intervened in details only He could have known. It was a God moment, and I’ll never forget it. I said, “Do you know Jesus? He can be the bossiest thing!” And we got to share. I learned something about God that day. He knows if you’re exhausted because you’re hungry, you’re serving in the wrong place or it is time to move on but you feel too responsible to budge. He knows if you’re hurting or feeling rejected. He knows if you’re sick or drowning under a wave of temptation. Or He knows if you just need your hair brushed. He sees you as an individual. Tell Him your need! I got on my own flight, sobs choking my throat, wondering how many opportunities just like that one had I missed along the way…all because I didn’t want people to think I was strange. God didn’t send me to that old man. He sent that old man to me. You will never make it in life. You are nothing like your sister. I don’t love you anymore. You are never going to change. You’re stupid and ugly. These are the merciless taunts of the enemy. I often meet with broken people who have come seeking help because they have been verbally assaulted. They are heartbroken and feel worthless. There are too many people who have been wounded by unkind words spoken either “to” them or “about” them. They have listened to the common lies of the enemy so often that they have come to believe them. Mother Teresa said, “Words which do not give the light of Christ increase the darkness.” The words we speak are either words of life or death. They are either words of truth or they are flat out lies. The words we speak either bless or curse ourselves and others. The words we speak are either words conceived and born of Heaven or they are words from the pit of hell. There are no words that simply do not matter. And yes, sticks and stones can break bones but toxic words break hearts. The toxic poison of devastating words can only be remedied by words of truth, hope and life. A word spoken in due season is as a healing ointment. Hurtful words wound but helpful words heal. Toxic words are poison to our spirit . Kind and life giving words are medicine. Do you know that words matter even if you are not the person the words are directly spoken to? The words you hear affect you. That is the reason it is important to keep company with people who speak encouraging and life giving words. If you are in a work environment where ungodly words are spoken they will AFFECT you and they can cause you to feel depressed. If you are in a room where someone is screaming or yelling, you will certainly feel shaken and disturbed. This is because the words being spoken are affecting your spirit man. We must carefully guard the words we speak and also the words we hear. Interestingly, there is something worse than being simply affected by toxic words and that is becoming INFECTED by toxic words. When someone says something unkind we should immediately counter that with something that is pleasant and kind. My cousin Bonnie, who is a Christian psychologist, encourages her clients and friends to participate in what she calls “good gossip”. The way you do this is to purposefully tell people things that will encourage them and others. Tell your friends and family of a compliment you heard about them. Tell them when they look nice. Never with hold kind words. It is healthy and healing for you to hear yourself speaking well of others and of yourself. God speaks well of you and I and we should speak well of ourselves and others. There is far too much hurt in this world. We should all speak words of life and love. Yes, this takes discipline and isn’t always easy. We must remember that there is a temptation to speak unkind words especially when they are spoken to you. You can teach and train yourself to return good for evil. You can make a habit of speaking well of everyone. You are not responsible for what others say or do. You are responsible for the things you do and say. Make your words count. If you love someone tell them you love them. Words are important. Words have power. Words have creative power. God created the galaxies by His spoken Word. Here is something I pray you will take to heart and always remember. Do not believe or receive any unkind words that are spoken to or about you. You are not who the devil says you are. You are not who others SAY you are. You are who God says you are. He thinks and speaks very well of you. If you don’t believe me just read his Word. God loves and accepts you. You can detox your spirit by speaking words of love and life. 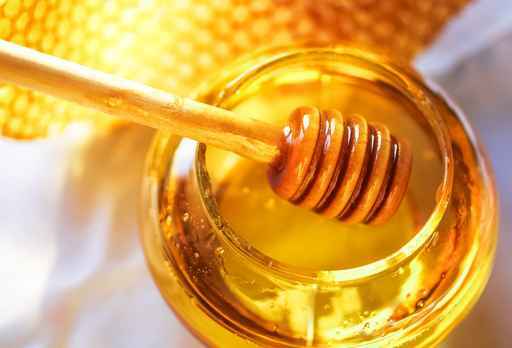 A word fitly spoken is like apples of gold in settings of silver. If you can’t say anything nice, it would be best to remain silent. Can a Christian be harmed by a curse? A young girl going through a difficult time in life asked me this question because so many things seemed to be going wrong in her life at one time. A friend told her she may have been cursed. She was frightened and had no peace. She wanted to know the answer. This is actually a very legitimate question. The short answer is “NO” and I will explain. When we receive Christ we receive all of the provisions of the Covenant through the works of the Cross. 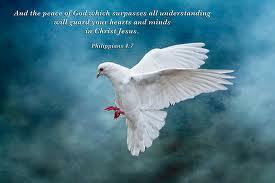 Protection is included in the Covenant we have with God. When the death angel passed throughout the land of Egypt it was only the houses where the blood was applied that were protected. The same is still true today. If others were able to “curse” believers and cause them harm then it would mean that the power of the enemy to harm us is greater than the power of God to protect and bless us. The power of the Blood that protects us is much greater than the “limited” power of the enemy. I once heard of an individual who was attempting to “pray” a curse upon someone they were angry with. This type of praying that God will strike someone is unscriptural and wicked. And it absolutely does not work! Because my friend was worried I shared a beautiful Scripture with her that gave her peace. The living translation is my personal favorite. It says that an “undeserved” curse will not land on it’s intended victim. It will not come to rest or take hold. It will not affect it’s intended victim at all. There are, however, times in our lives when we do things wrong and we suffer the consequences of our behaviors. When we sin we are actually cursing ourselves. The same is true if we choose to speak about ourselves negatively. We must recognize that words have power. I would like to explain it like this. The verse states that an “undeserved” curse will not rest. There are simply times when we curse ourselves by our own actions and suffer the resulting consequences. We have all heard the phrase “you got what you deserved” There is a curse that we deserve or have earned. It has nothing at all to do with someone pronouncing a curse over us. We are told in God’s Word that we choose blessing or cursing. I choose to be blessed by living in obedience to Christ. No one can choose for me. I choose life or death and blessing or cursing. The only way a curse spoken against you by another individual can cause you harm is if you CHOOSE to RECEIVE it and BELIEVE it. The same is true if someone speaks a blessing over you. It is your choice to receive it or reject it. The definition of a “curse” is a prayer or appeal to cause harm to someone. It is wrong to “curse” anyone at anytime. At the end of the day it doesn’t matter what others say about you. It doesn’t matter what the enemy says about you (and he says plenty.) What matters most is what you say and what God says about you. God has spoken well of you. Purpose in your heart to give NO place to the devil. Always remember that No weapon formed against you shall prosper and EVERY tongue that rises against you shall suffer shame. I choose Jesus! I choose blessing!